Local peasants grow vegetables in greenhouses in Partizansk city Lozovoy village. They grow cucumbers, tomatoes, greens. Moreover these vegetables are sold very good in Primorye. People like it very much. However recently the company faced one problem. 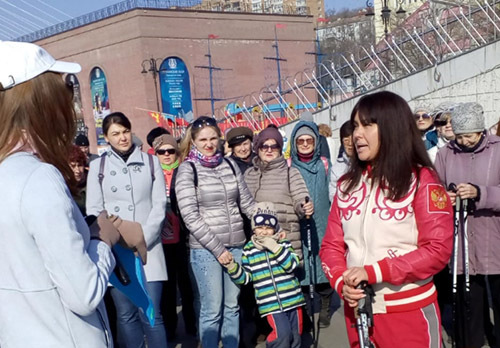 Several years ago businesswoman Natalia Dubovtseva took a hectare in the Far East. She built a greenhouse there. And with the support of the regional administration she start to realize the project. Despite of all the preferential terms the business can be closed down. The problem is high electricity tariffs. And it is one of the most important conditions for growing vegetables in a greenhouse. Natalia Dubovtseva, director of the Lozovoy village greenhouse: "From 1300 rubles per gigacalorie in 2014, today it grow up to the 2149 rubles per gigacalorie. How can you do business and develop?" The director already addressed the expert economic meeting. The acting Governor of the Primorye Territory Andrei Tarasenko also took a part in the meeting. Andrey Tarasenko promised to help people to solve the problem. Hope the problems will be solved successfully. The modern greenhouse complex is equipped with modern computers. In automatic mode there are the balance of temperature, light, top dressing. Hope soon the six hectares will eventually become indicative. If only the authority will the support the small business in the Far East.